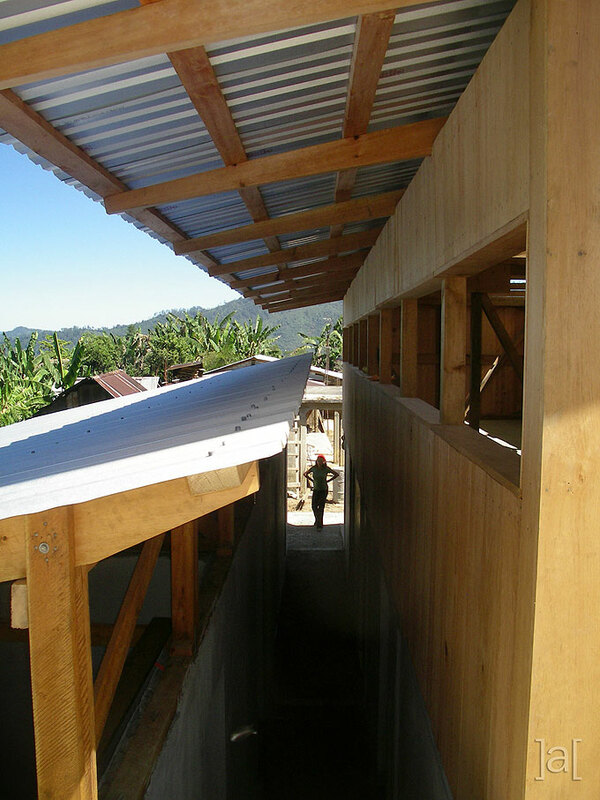 Archintorno coordinated the project and building process of this community centre and guest house in Oaxaca, Mexico, involving both community members and DesignBuild students from Europe. 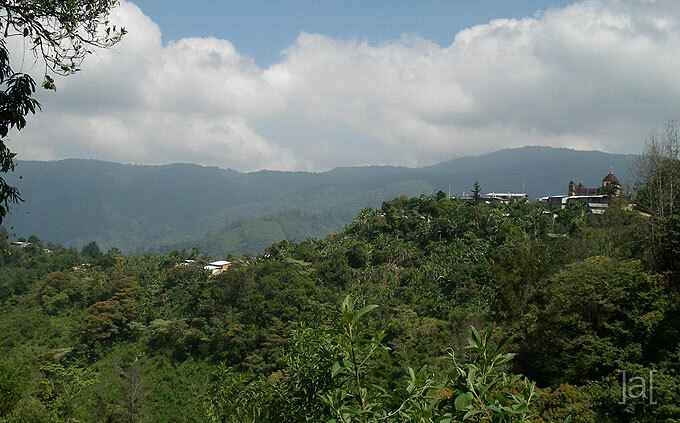 The village of Santa Cruz Tepetotutla is located in Chinantla Alta High Chinantla in the Sierra Norte of Oaxaca state, Mexico. At an altitude of over 3,000 meters above sea level the area has one of the highest indices of biodiversity on the planet. Archintorno coordinated the process/project working with the community and 16 DesignBuild students from University of Naples, Milan and Warsaw and a foreman from TU Berlin on the construction of a community center. 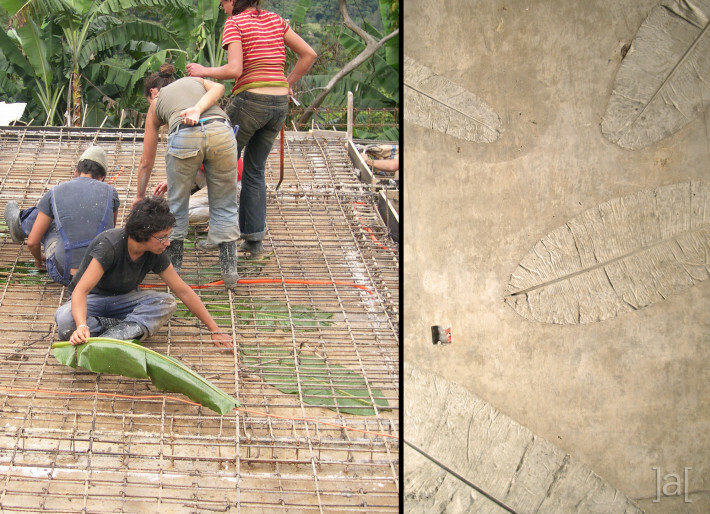 The building supports a development program which focusses on ecotourism and the enhancement of cultural and natural resources of the area. In addition to a community centre, the building serves as a Guest House for tourists who are walking through the area on a well-known eco-tourism route through several indigenous communities. Santa Cruz is included in the The Sustainable Territory Development Plan of Alta de Oaxaca. 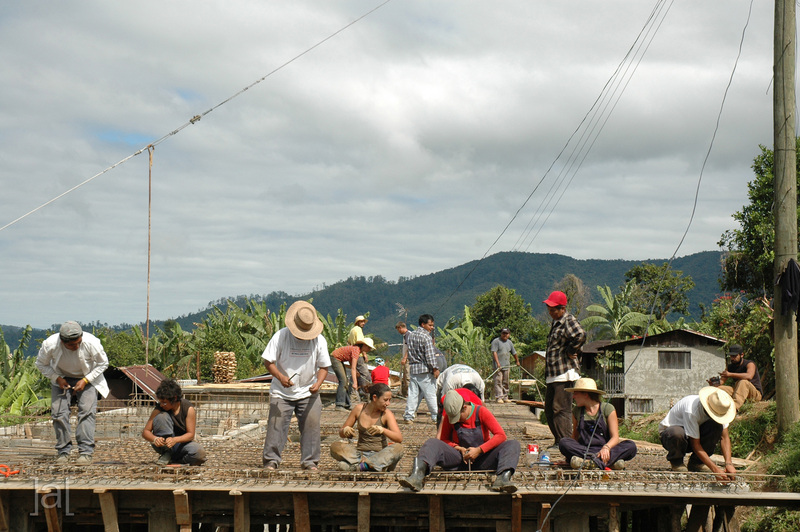 The spatial plan was drafted by the communities themselves, with the support of the Mexican NGO CAMPO and is made with an intent to generate alternative sources of income to agriculture. 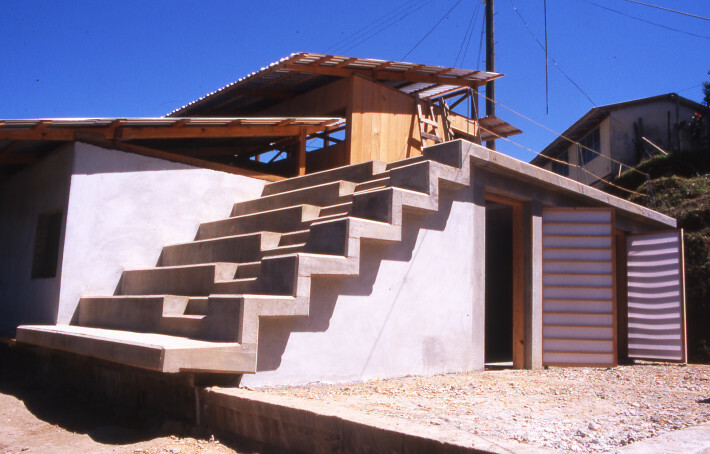 The building is built on a pre-existing foundation and, at the community’s request, the floor is made of reinforced concrete. 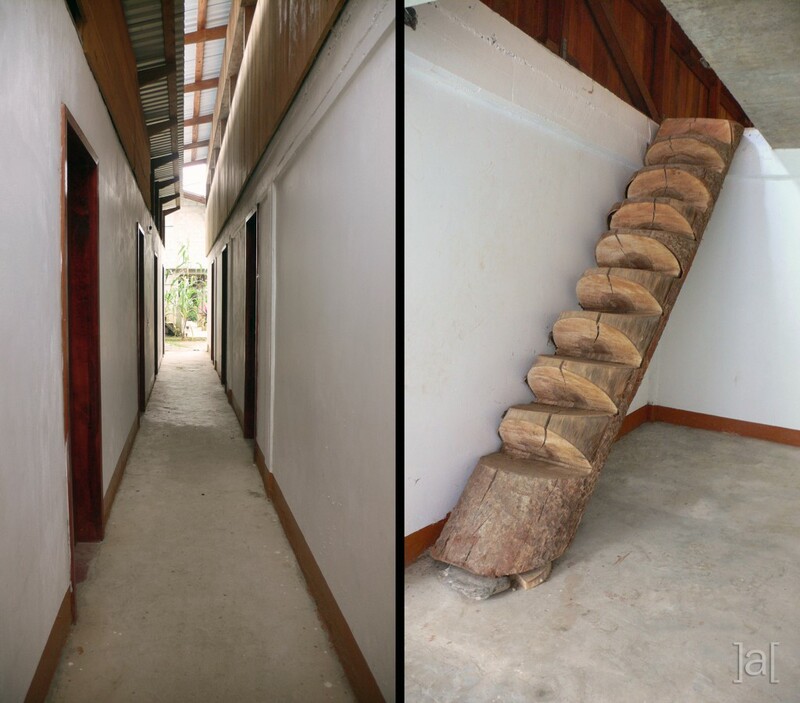 The second floor is built of wood according to local tradition, supplemented with building innovations that contribute to higher stablity of the structure. The building consists of five bedrooms, a kitchen and a dining room on the main floor and a large multi-purpose living room where community meetings take place on the upper floor.